Metro is planning a major rehabilitation project on the Red Line that will have a big impact on service over the long Labor Day weekend. 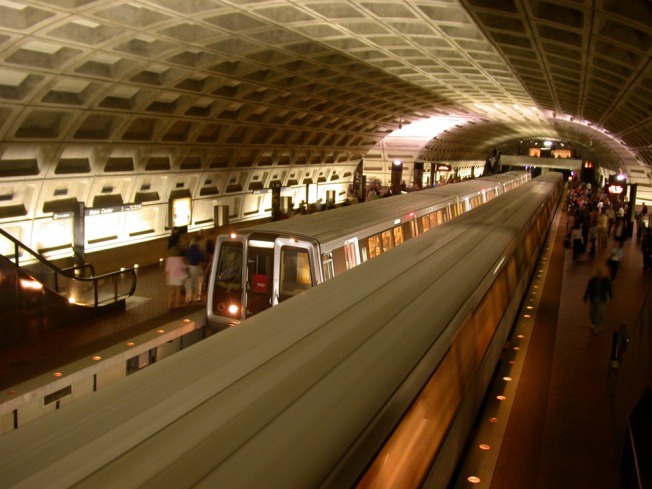 Track work will close five Red Line Metrorail stations: Takoma, Silver Spring, Forest Glen, Wheaton and Glenmont. The stations will be closed from 10 p.m. Friday, Sept. 3, until midnight Monday, Sept. 6. Normal service will resume Tuesday, Sept. 7, at 5 a.m.
Metro will operate free shuttle buses between the Fort Totten and Glenmont stations to help people get around the work zone. This will be the largest maintenance shutdown in its 34-year history with more than 500 track maintenance workers on the job, Metro said. Here’s the long to-do list. Workers will replace two old track switches at the Silver Spring metrorail station, install 750 new track fasteners, 1,720 new crossties, 525 feet of new track, 500 new rail insulators, new heater tape, new tunnel safety lights and install communications cables to improve cell phone service. The track switch replacement is work recommended by the National Transportation Safety Board. The cell phone service project is a Congressional mandate to improve cell phone access at Metrorail stations. C8 (College Park-White Flint) line, which serves the Glenmont Metrorail station. J2 (Bethesda-Silver Spring) line, which serves the Silver Spring, Bethesda and Medical Center Metrorail stations. Q1, 2, 4, 6 (Veirs Mill Road) line, which serves the Shady Grove, Rockville, Wheaton, Forest Glen and Silver Spring Metrorail stations. So, why do the work on a holiday weekend? Metro said that’s when ridership is down. It’s also a lot cheaper to tackle big projects on long weekends because crews don’t have to spend time setting up and breaking down work zones day after day.